I jumped on the clothesline bandwagon, and I must say, I love it so far! It forces me to go out in the backyard, slow down and smell the fresh air. 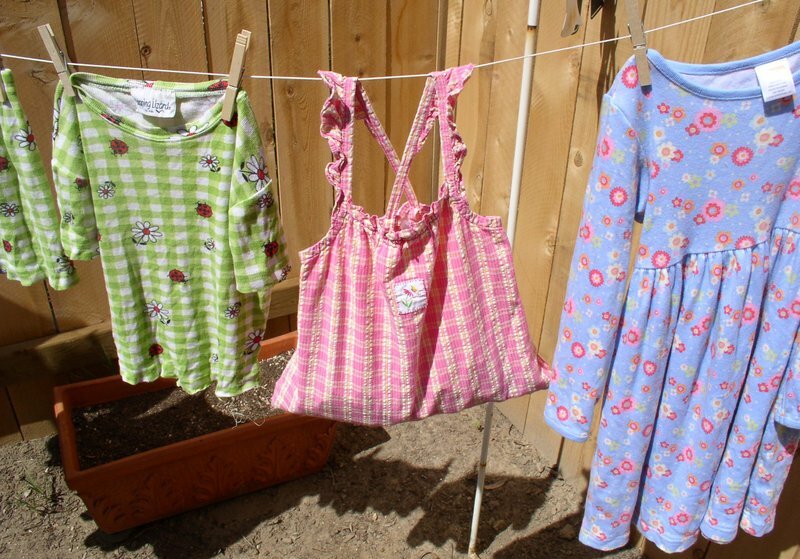 I'm not sure if I'm actually saving any energy, with the little seven foot line I've got going, but it makes me happy to see the kids' clothes hanging in the sun, brights spots of color in a corner of my otherwise pretty bare yard. I am also way too pleased with myself about this five-minute project that I completed yesterday. Actually, I shouldn't say five minutes, since I thought about it for over a week. 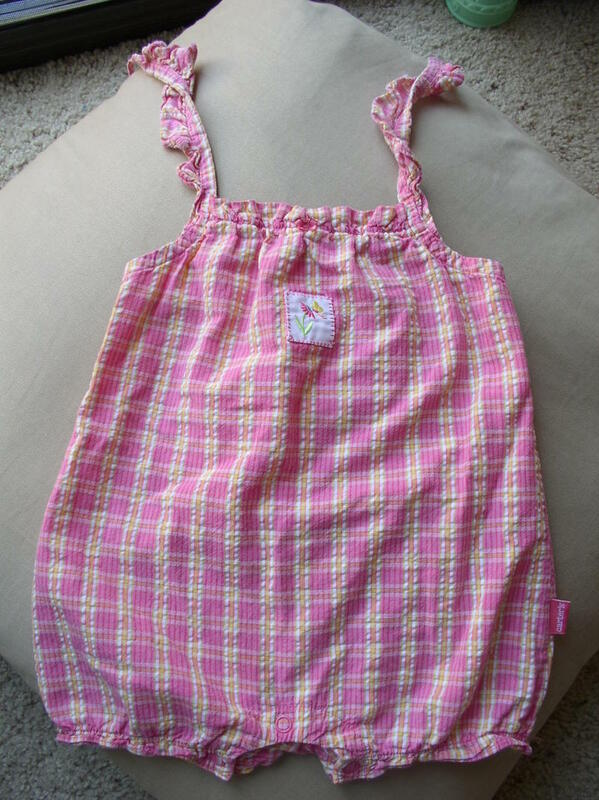 But once I actually had a few moments to clear off the dining table, it literally took me less than five minutes, including setting up the sewing machine, to make a clothespin bag out of one of the girls' old jumpers. I've been weeding out the clothes that Jessie's now outgrown, and after trying to sell them to a secondhand shop the other day, and being extremely disappointed in their assessed value, I decided I'm just going to keep most of them, turn them into quilts, softies, and whatever else I can think of. So with one seam, one line that I just eyeballed using the plaid as a guide, I made a bag to hold all my clothespins. I couldn't be happier with the way it turned out, it really gave me a quick crafting boost, which I've been needing. I may line it in the future, but probably not. That would take too long!